Grafton – William C. “Bill” Richardson was 82 when he passed away Wednesday, Sept. 2, 2015 with his family at his side. Bill is survived by his wife of 45 years and best friend, Joyce (Larson); children William Jr., Linda, Andrew, Rebecca, and Kimberly; and many grandchildren who called him “papa.” His parents, Mary Evelyn (Scobie) and Marcus, brother Howie, and sister Sandra predeceased him. He was born in Millville, and graduated from Grafton High School in 1952. He was drafted by the Army before he could accept a minor league contract with the Philadelphia Phillies. Bill loved to travel. He loved Nova Scotia, cruising, and going “Over the Bridge” to Maine. He was a member of the First Congregational Church of Auburn, where he once served on committees and belonged to their bowling team. He was a member of the American Legion Tuttle Post of Auburn. He worked for 40 years at Polselli & Sons in Grafton before retiring in 1993 after a trucking accident. You could find Bill tending his yard, painting items to beautify his garden, listening to a Red Sox game, or watching “Walker Texas Ranger.” He will be dearly missed by all who knew him. His funeral service was held Sept. 9 at the First Congregational Church of Auburn, followed by burial with military honors at Worcester County Memorial Park in Paxton. 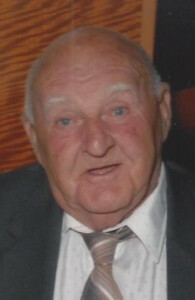 His online guestbook can be visited at www.RoneyFuneralHome.com.